If you want your honeymoon to be something really special and romantic then Greece should be definitely one of your options! How have you dreamed of your honeymoon? 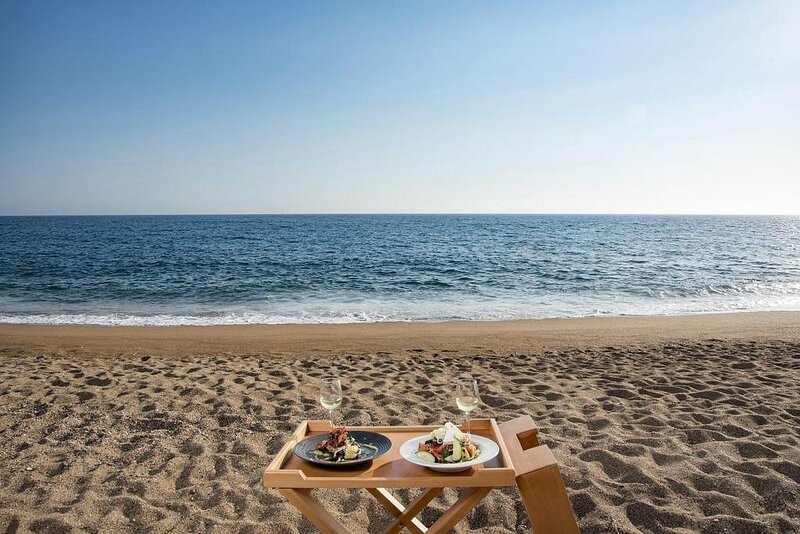 Spending time on a luxurious resort enjoying with your other half top class services? Walking down picturesque alleys in small and remote islands with white houses and blue little windows? Or discovering new places and small paradises doing activities and exciting sports? Whatever your type is; arranging a honeymoon in Greece you will be one of the most romantic moments in your life! So, we selected our top preferences for having an amazing honeymoon in Greece! But, we went one step further and as we like extremely like island hopping, we added some additional choices that you can add on your honeymoon destination. We can also read our famous guide about the island hopping in Greece! It might require more hours of planning and scheduling but it is totally worth it! It is probably one of the top 3 islands in the world! The landscape, which has been caused due to the volcano activity thousands of years ago, together with the white villages that are perched on cliffs overlooking the sea, the astonishing sunset and the luxurious hotels make this island our number one recommendation for honeymooners! It is combined nicely with Naxos, an island with beautiful and mountainous mainland and stunning sandy beaches! 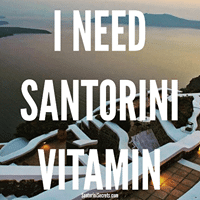 You can check our list with the best hotels in Santorini, but also check some of the best hotels specifically for an unforgettable honeymoon! Mykonos is another option for a honeymoon in Greece. You can wander around the labyrinth of the high-end shops and the whitewashed houses and enjoy some of the best beaches in Aegean sea! In addition, the cosmopolitan character and the amazing nightlife is an extra plus! 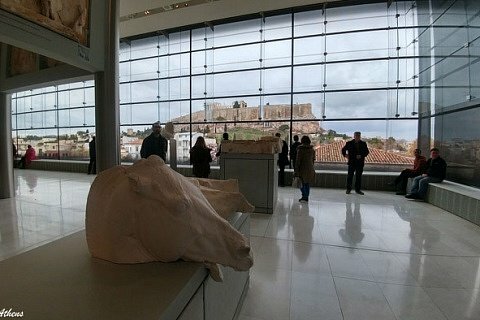 Do not forget to visit one of the Unesco World Heritage sites in Greece (you can find the complete list here), Delos, which is very close to Mykonos. Near Mykonos is also Tinos, with nice food and in the past was famous for its glorious religious tourism! But nowadays, Tino’s secret has been revealed and many have started to visit this island for the tranquillity that it offers and its beautiful beaches. Crete has dozens of different choices as it is a large island with many beautiful places that need to be discovered. 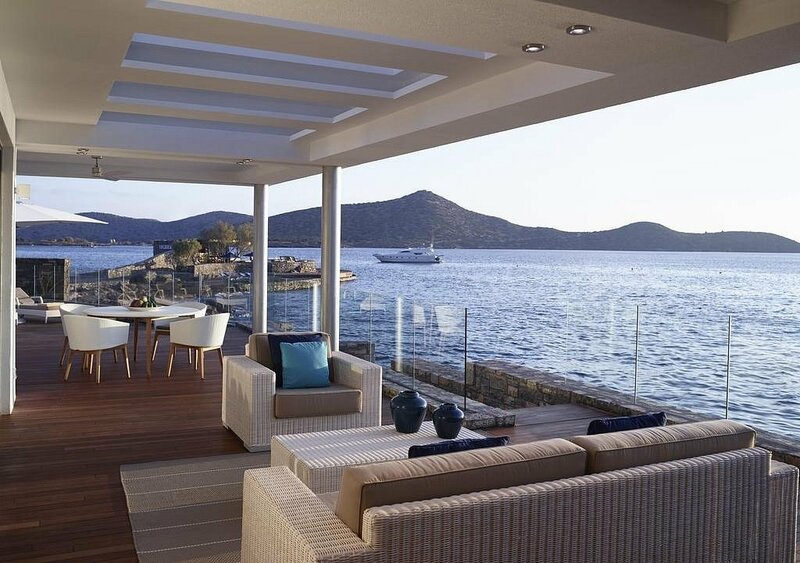 In Elounda area, you will find some of the most luxurious hotels in Greece with amazing facilities and services. 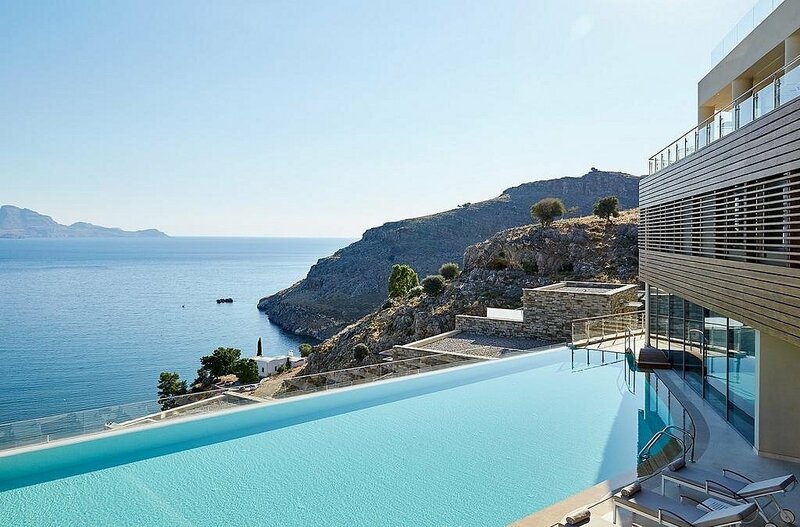 However, Crete is more than just good hotels. 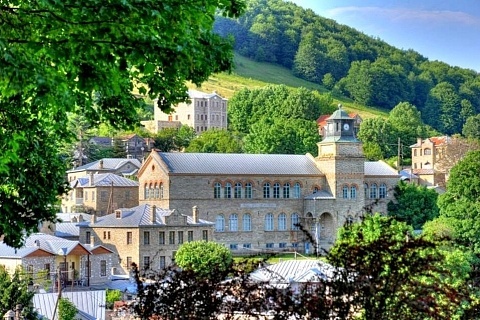 It provides an amazing range of different landscapes, from gorges and mountainous wild areas to spectacular beaches and one of the best and healthiest cuisines in the world! They are relatively close to its other and they are accessed easily as they both have international airports with hundreds of connections. Rhodes has the old medieval city (another Unesco World heritage) and beautiful mainland and beaches. Kos has also nice sandy beaches, great history (it is the birthplace of Hippocrates – the Father of Modern Medicine) and luxurious hotels. If you select Kos, you can visit quite easily Kalymnos and then Leros (a real hidden gem) and then if you have time Patmos! If you select Rhodes, then it is quite easy to visit Nisiros and stunning Symi! 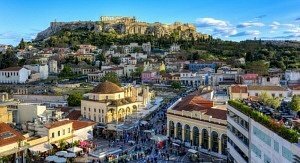 Another destination that you should consider is Athens. It might not be one of the most beautiful capitals in Europe, but it is one of the oldest capital for sure. 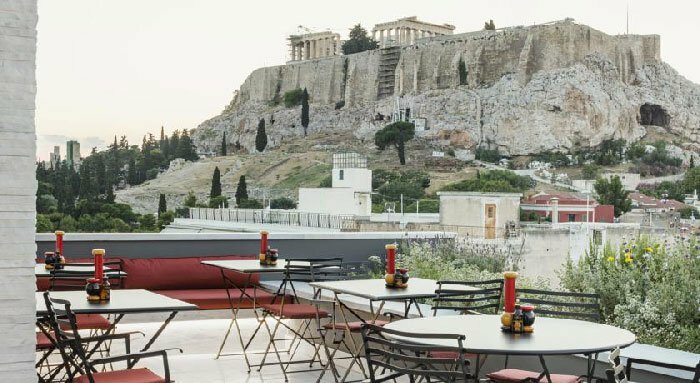 It has an incredible history and we think that at least 2 days stop in Athens would be great! There many different things that you can do and nice museums that you can visit or you can just walk around the narrow alleys and get lost in time! 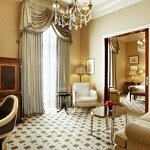 You can check our list of the best hotels in Athens and select the best hotel for your amazing honeymoon! Finally, if you the type of couple that you enjoy adventure, then we can recommend a road trip! It does not need to spend many hours in the car; you can adjust this according to your needs and preferences. 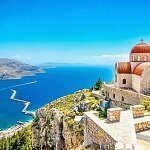 You can get some ideas from our own road trip in 11 days in Greece or you can check all the best road trips in Greece routes that we recommend! 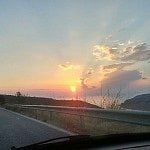 A road trip of Peloponnese is also a fabulous choice! You can visit archaeological sites, like Epidavrous theatre, Olympia (where the ancient Olympic games took place), amazing castle towns (like Monemvasia or Mystra) and some astonishing beaches and villages. What is the best time to visit Greece for a honeymoon? I would say that June to end of August is a very touristy period and quite hot! Probably May and September would be ideal for a honeymoon in Greece as it is still quite warm and without the buzz of the crowds you can relax and have one of the most romantic moments in your life! NewerThe best local beers in Greece! 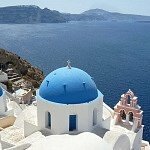 OlderYour guide for getting married in Greece!